Cellular and gene therapies involve the delivery of genetic material to manipulate an individual’s cell for the treatment of different diseases including cancers and inherited disorders. With the number of gene therapy products in development increasing, bioanalytical methods are playing an important role in ensuring the success of these novel therapies. As potential cell and gene therapies are investigated, it is essential to use bioanalytical methods to quantify the DNA, the vector and the expressed gene moieties to gain a complete understanding of PK, PD and safety. Dr Hanley is an Assistant Research Professor of Pediatrics and Director of the Cellular Therapy Laboratory at Children’s National Health System, a part of the Program for Cell Enhancement and Technologies for Immunotherapy (CETI) and Center for Cancer and Blood Disorders. He oversees process development, translation and manufacturing of cellular therapy products as well as follow up testing of patients enrolled on CETI’s clinical trials. Trained as an Immunologist, Dr Hanley has an extensive background and interest in cellular therapy and is passionate about improving regulations for cellular therapy, training the next generation of cell therapists and facilitating the translation of new therapeutics. Over the past 12 years he has helped to translate more than 20 cellular therapy protocols – ranging from mesenchymal stromal cells to cord blood virus-specific T cells and tumor-associated antigen specific T cells – into the clinic. 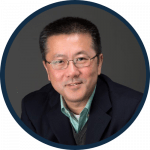 Mark Ma is Executive Director of Bioanalytical and Biomarker Development at Alexion Pharmaceuticals. Prior to working at Alexion, Mark was the Director of Large Molecule Bioanalytical Sciences at Amgen (MA, USA). His group provides bioanalytical and biomarker support to preclinical and clinical drug development, including large molecule, gene therapy and small molecules. Mark had held several academic research positions with the University of California, Los Angeles (CA, USA) and the Molecular Medicine Research Institute (CA, USA) prior to joining Amgen. He is an active member of AAPS and serves as lead of the PK assay working group. 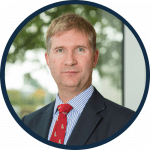 Dr Sven Kili is principle at Sven Kili Consulting Ltd. where he provides specialist strategic consulting services to innovative regenerative medicine companies. 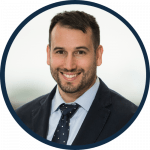 His clients include small and medium sized companies from company formation through to clinical development and commercialization. He was previously the Head of Development for the Cell and Gene Therapy division of GSK (UK) Rare Diseases where he led teams developing ex-vivo gene therapies for a variety of rare genetic disorders including: Strimvelis®, the first ex-vivo gene therapy to be approved for children with ADA-SCID; Wiskott-Aldrich syndrome (WAS); Metachromatic Leukodystrophy (MLD) and BetaThalassemia. Prior to this, he was Senior Director, Cell Therapy and Regenerative Medicine for Sanofi (Genzyme) Biosurgery (UK) where he led the clinical development, approval and commercialization activities of the first combined ATMP approval in the EU for MACI®. His team also prepared and submitted Advanced Therapy regulatory filings for Australia and the US, including health technology assessments and he was responsible for late stage developments for Carticel® and Epicel® in the US. As VP of Biologics Services for Frontage Laboratories, Dr Shao oversees overall operations, scientific achievement and regulatory rigor of PK/TK, immunogenicity and biomarker analysis in support of innovative biologics, biosimilars, and new therapeutic modalities including gene therapy, nucleic acid therapeutics and CAR-T cell therapy. He also oversees CLIA compliant method validation and testing, genomic services including quantitative PCR and next generation sequencing (NGS). Weiping has over 20 years of experience in pharmaceutical / biotech industry. His most recent position was with Regeneron Pharmaceuticals, Inc. (NY, USA) where he served as Director and Head of Bioanalytical Operations. In this role, he built and led the bioanalytical organization that supported numerous regulatory submissions including the approval of Zaltrap®, Eylea®, Praluent®, Kvzara®, Dupixent® and Libtayo®. Prior to Regeneron, Weiping led the development of safety assessment strategy for drug development and the development of safety biomarkers in Safety Assessment Department at Merck & Co (PA, USA). 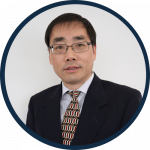 Weiping has published over 34 peer reviewed manuscripts, filed US patents and co-authored the worldwide accepted Best Practices for Biobank. He often chairs conferences and has given numerous presentations. He earned his Ph.D. from Nanjing University (China) and completed his post-doctoral Fellowship in Biochemistry at University of California, San Diego (CA, USA).